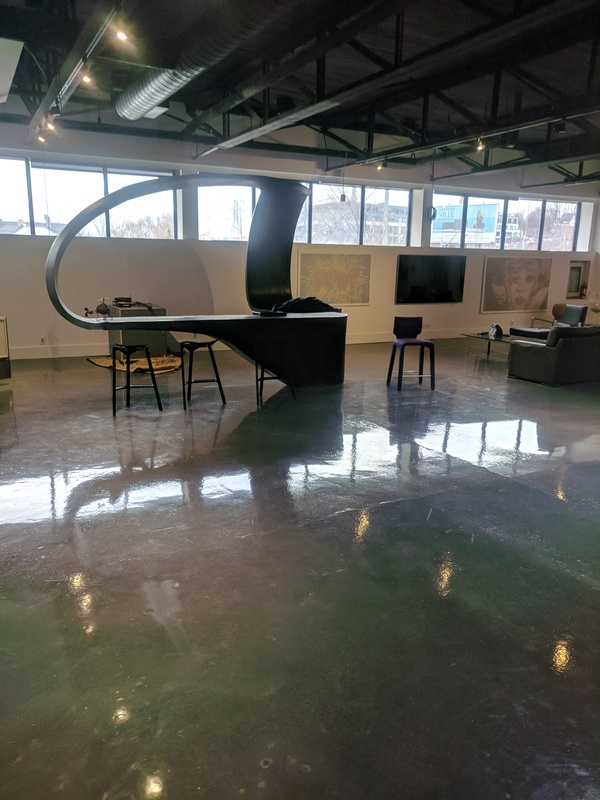 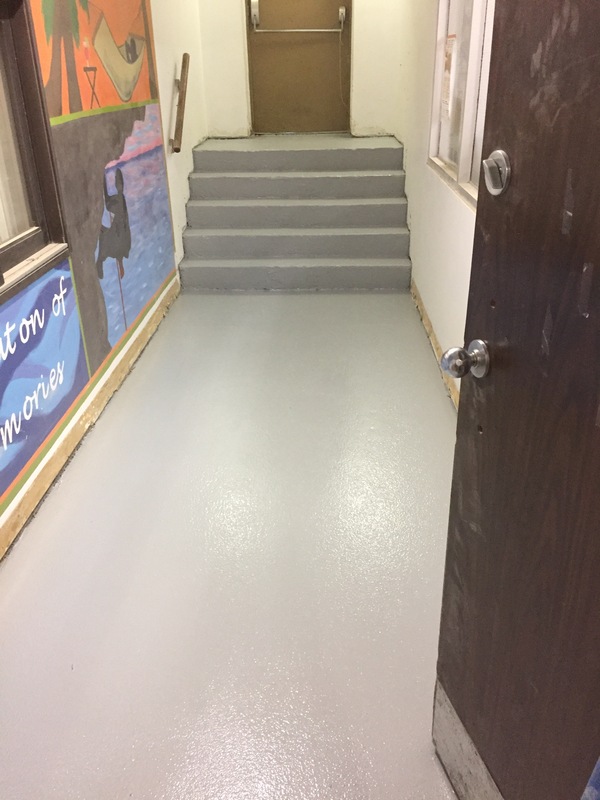 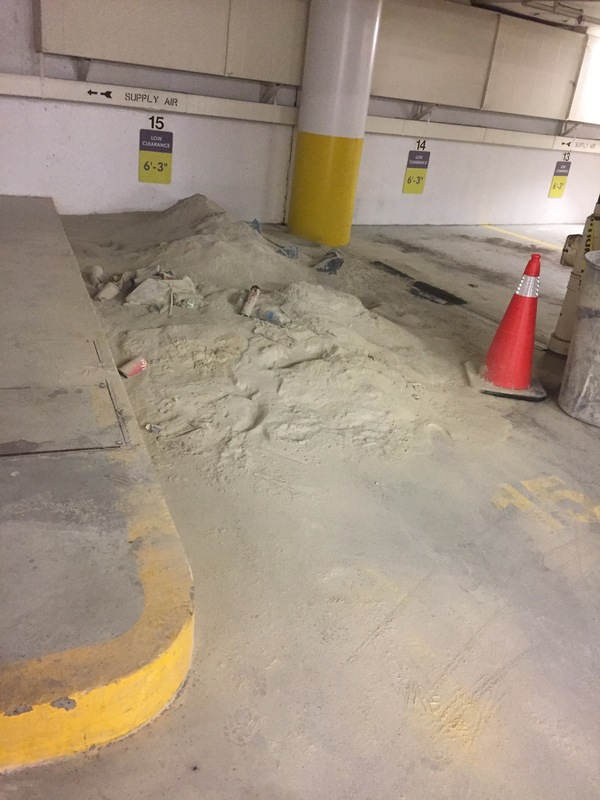 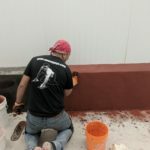 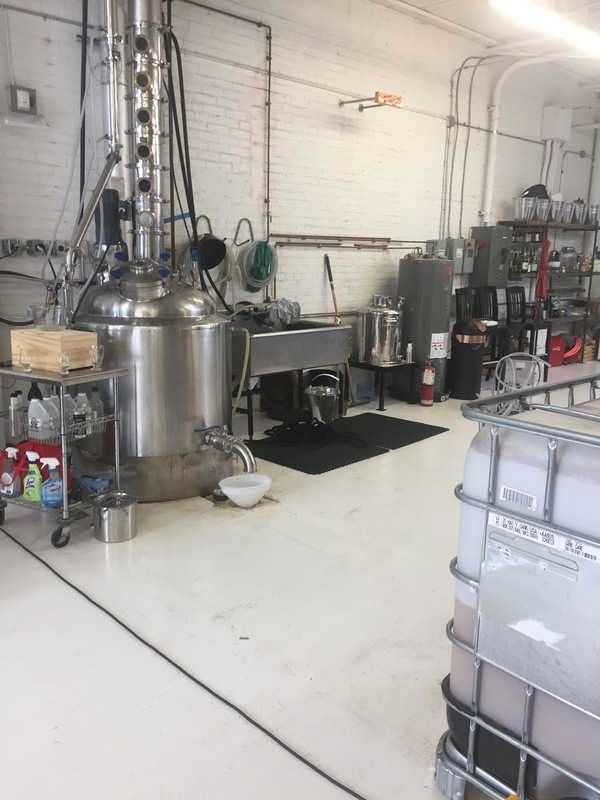 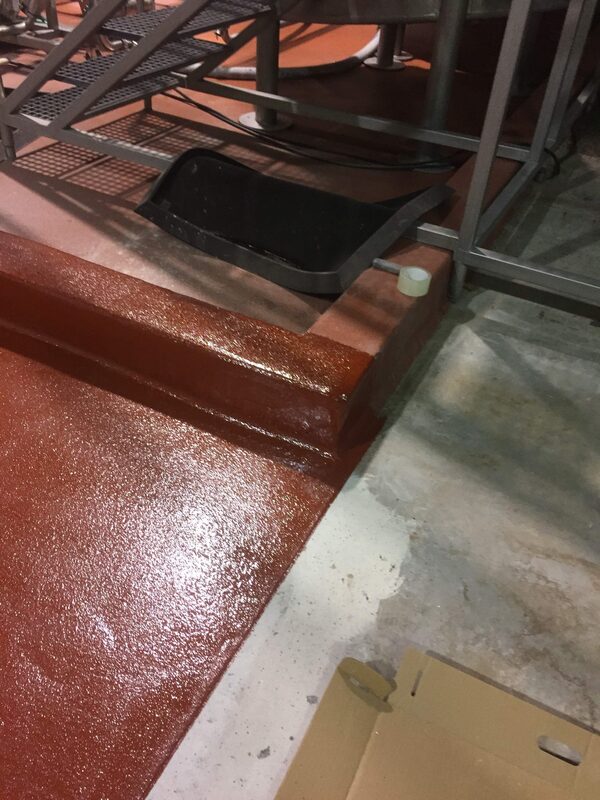 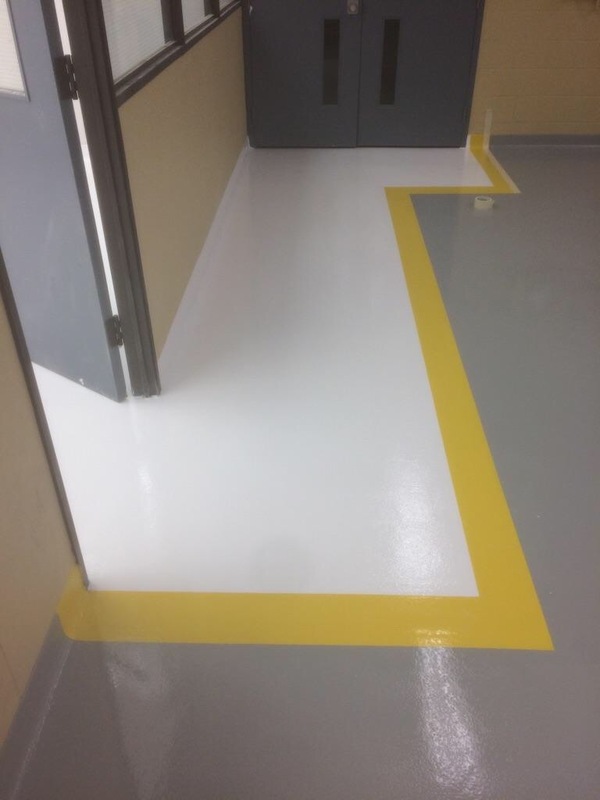 There’s juice company needed to expand its packaging area and also required that the entrance to the packaging area include a boot wash. We installed a 1 inch deep boot wash at the entrance to the packaging area made from BASF polyurethane cement Ucrete. 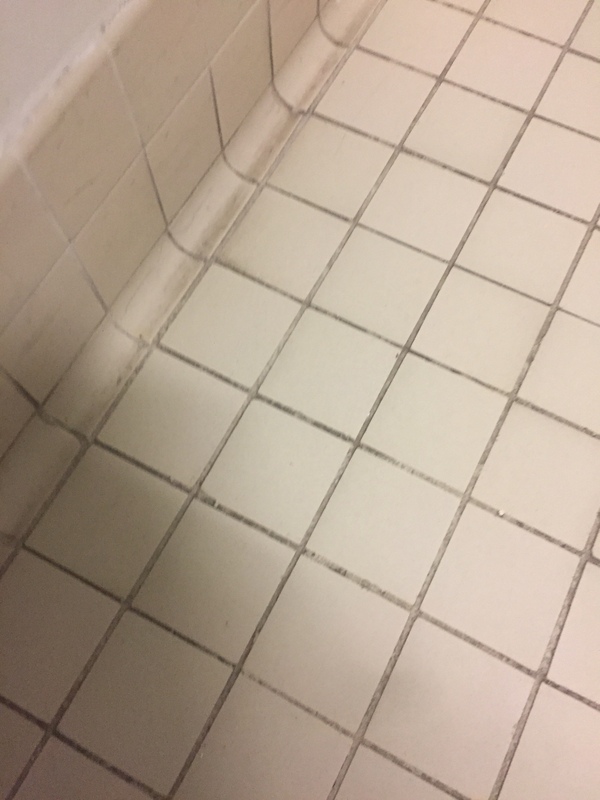 This depression is filled with sanitizer to ensure no bacteria makes. 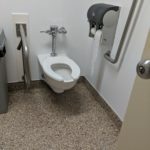 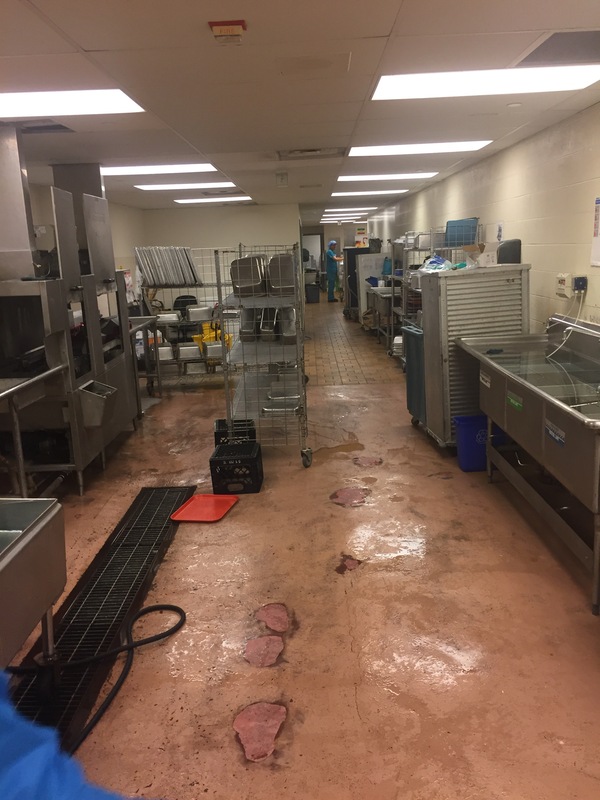 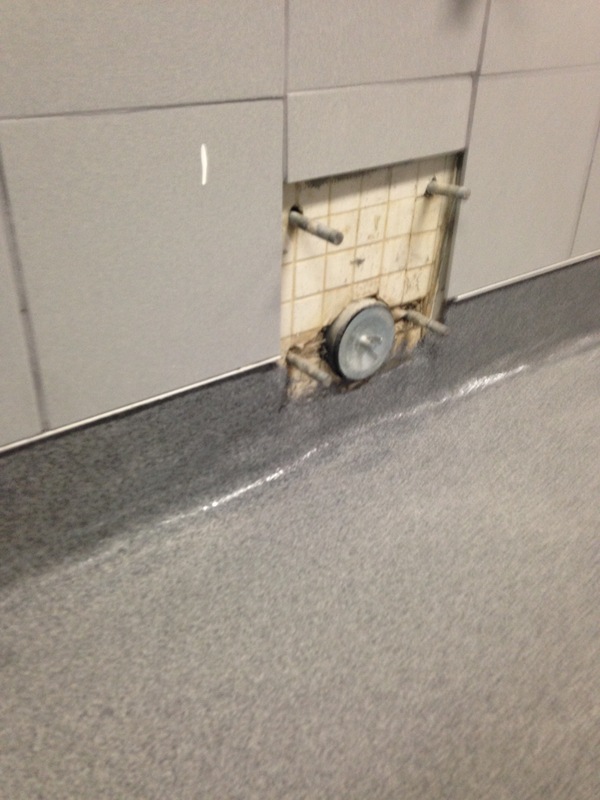 This hospital kitchen badly needed a new floor in there dishwashing area shutting down the dishwashing area for three or four days was not an option. 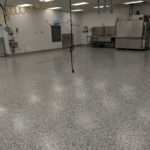 The Epoxyguy’s work after 6 PM to remove the old floor repair damages and install a new heavy duty pu floor without taking the dishwasher off-line for even one.